Groove with the Smooth Moves and Soulful Harmonies of the Grammy Award-Winning Temptations in this tribute to one of Motown and Rolling Stone’s Greatest Artists of All Time. 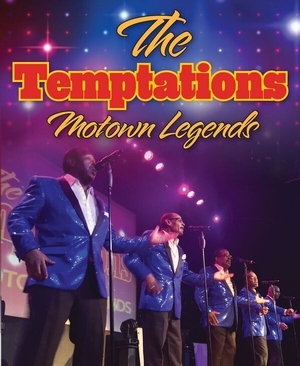 Along with many other Motown Music Legends, such as The Four Tops, The Chi-Lites, and The Delfonics, you’ll fall in love with the music all over again. The soulful dance moves, their signature style, and unmistakable suits and vocals, defined soul and R&B in the 60s and 70s, with “My Girl”, “Just My Imagination”, “Papa Was a Rollin’ Stone”, “Ain’t Too Proud to Beg”, “I Wish It Would Rain”, “I Can’t Get Next To You”, “Cloud Nine”, “Treat Her Like a Lady”. This epic tribute to The Temps, and so many other great R&B and Soul Music Legends, will have you Dancing in Your Seat!